These are the words of Jamy Brice-Hyde, a veteran teacher in New York who is part of the national group Badass Teachers Association (BAT). A few years ago, three different teachers within the BAT network each took their own life just a few weeks apart, bringing to light just how stressful the job of education can be. “Nobody realizes how horrific working conditions are for teachers throughout the country,” Brice-Hyde says. BAT wanted to take action, so they created a Quality of Worklife Steering Committee and named Brice-Hyde the codirector. Then they partnered with the American Federation of Teachers to do a national study of teacher working conditions around issues like stress, work-life balance, respect, and more. 61 percent of educators find work “always” or “often” stressful. 27 percent of educators said they’ve been threatened, bullied, or harassed. 86 percent of educators feel disrespected by US Secretary of Education Betsy DeVos. Teachers are stressed out, and turnover is high. 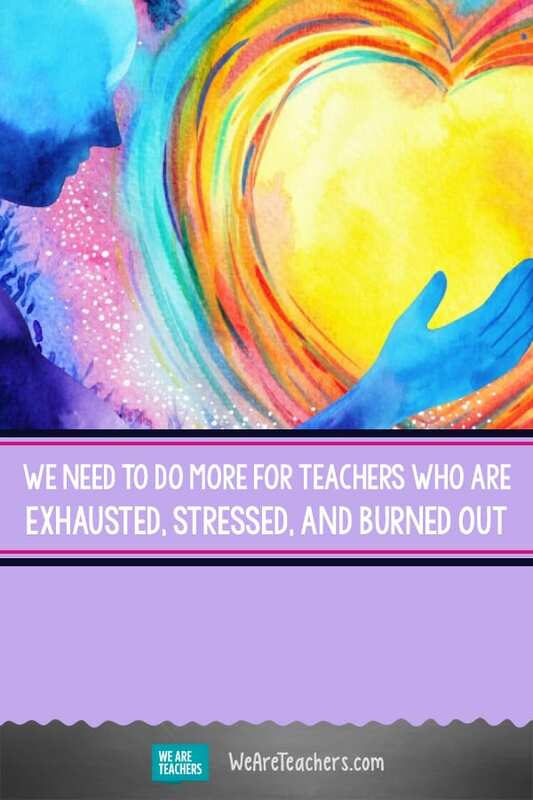 No wonder we’re seeing more stories about the importance of self-care, classroom burnout, and mental health days for teachers. Yet, self-care doesn’t seem to come easily for people, and this is definitely true for teachers. By nature, educators are taught to give care and support others—not themselves. We think it’s time to change that, though. So in honor of World Mental Health Day, WeAreTeachers is working to change the dialogue about teacher mental health. Below are some of the top challenges people give for not seeking therapy, or even basic self-care, along with possible solutions and workarounds for each one. We hope you share this article widely, giving support and love to your fellow educators. After all, self-care, good mental health, positive well-being—whatever you want to call it—is one of the single best things you can do for yourself. And it’s pretty much guaranteed to help you do what you set out to in the first place—be a good teacher. Solution: Try on-the-go therapy instead. It seems like everyone is fighting this battle these days. There just don’t seem to be enough hours in the day. There are alternatives, though. Talkspace is one of the best-known companies in this market. They offer on-demand therapy that you can do via text or messaging. To start, you’ll fill out some basic info, and then they’ll match you with a licensed therapist. Best of all, there’s no scheduling needed. You can write your therapist early in the morning, late at night, or anytime in between. Solution: Look into support groups or ask about sliding scale fees. Whether you have no insurance, bad insurance, or you’re choosing not to use your insurance, therapy is expensive. Even a good insurance program will likely have co-pays, and those add up quickly. If you’re low on funds, there are a few options to try. First of all, you can look into support groups. For instance, the Anxiety and Depression Association of America has this online resource. Another option is to look for group therapy, which can be cheaper than one-on-one options. Finally, seek out providers that have sliding scale fees. Be upfront that you’re a teacher on a budget. Not everyone will offer sliding scale, but it’s worth asking. Finally, check with your union or insurance program about mental health benefits. Many programs will offer limited amounts of free services or consultations to help you explore different options and get on the right path. These benefits could exist, and you just have to ask about them. Maybe you did couple’s counseling once with your college significant other, and it was too new age for your taste. Or maybe you had to do counseling as a kid, and it brings back bad memories. Whatever the case may be, do not let a bad therapy experience put you off of therapy completely. Try someone new. And if you don’t like them, even after the first visit, try another person. At the end of the day, it’s your time and money. Don’t be afraid to keep looking until you find the right fit. Solution: Don’t wait for it to get there. She recommends having a general conversation with a mental health professional, so they can help you assess. Yes, it can be hard to get to the point of asking for help. But it really is an important part of self-care. Solution: Have a back-up plan for support. “There’s a big disconnect between higher education and what happens in a K–12 classroom,” says Kristin Bertolero, an inclusion facilitator who worked for years as a special ed teacher and then as a college professor. She says education can be especially difficult for new teachers because it’s such a hard job to prepare for. “There’s a lot of stress about what you’re taught to teach and then what actually happens in the classroom,” she says. She says it’s important for teachers to remember they’re learning, and it’s perfectly okay to seek help from a colleague, admin, or mentor. Even reaching out to a counselor is a good option to help bring perspective and navigate through the emotional field of teaching. Solution: Explore all of your options. This teacher talked about her battle with depression, and how she put off going to see someone because she thought they’d put her on medication. Once she finally gave in, she talked to her therapist about her concerns. Together, they came up with a plan to try diet, exercise, and natural remedies first. She did eventually end up on a low dosage of medicine for about a year, but above all, she says her fear of meds far outweighed the reality. Solution: Get creative with online options. Even if this isn’t your top concern, just having enough resources in some communities is a real struggle. Instead, try online resources or providers who will do a therapy session over the phone or even Skype. Better Help is an online-therapy option. You can also do a search for therapists that offer Skype as an option. Finally, try finding a therapist in the big city nearest to you and see if they’d be open to a combination of in-person and Skype sessions. You can always call or email someone first to see if they’re open to it. No one can make you be ready to look into therapy or mental health options. It’s something you have to figure out on your own. 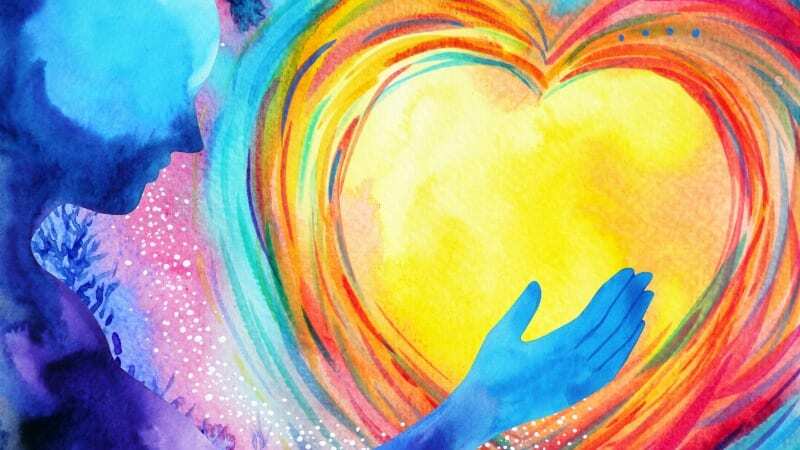 However, think about the love, support, and advice you’d give a friend, student, colleague, sibling, or parent—and then try to apply that same kindness and wisdom to yourself. Maybe you aren’t ready to call a therapist and make an appointment. Or maybe you’re still figuring it out, one day at a time. Teaching shouldn’t be one of the most stressful jobs in the US, but it is. So you can’t forget to take care of yourself along the way. What tips do you have for addressing teacher mental health? Come share your ideas on our WeAreTeachers HELPLINEon Facebook. Plus, why teacher depression and anxiety are so common and a look at whether or not teachers should take mental health days.